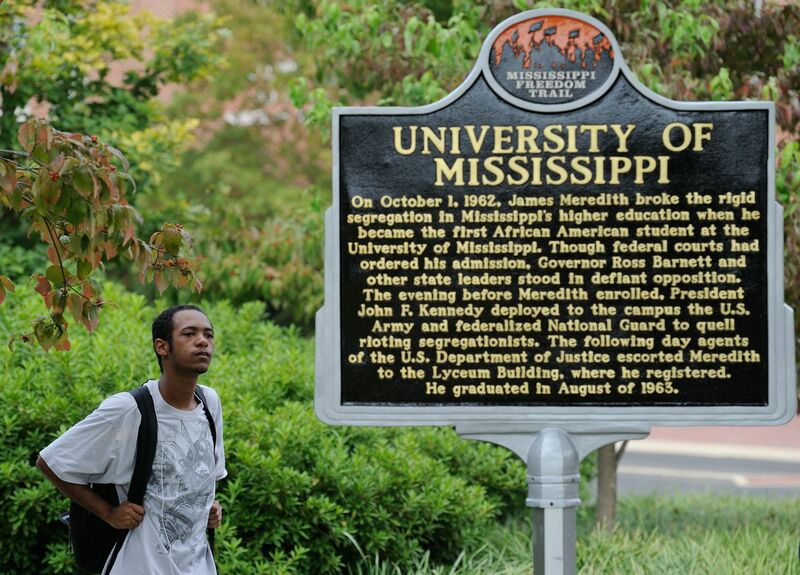 This bumper sticker is protesting James Meredith’s enrollment at the University of Mississippi (Ole Miss). The backing is still on the sticker. It is in good condition. 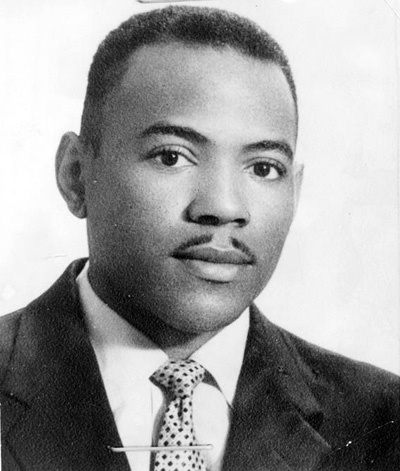 In 1962, James Meredith was the first African-American student admitted to the segregated University of Mississippi, an event that was a flash point in the African-American civil rights movement. 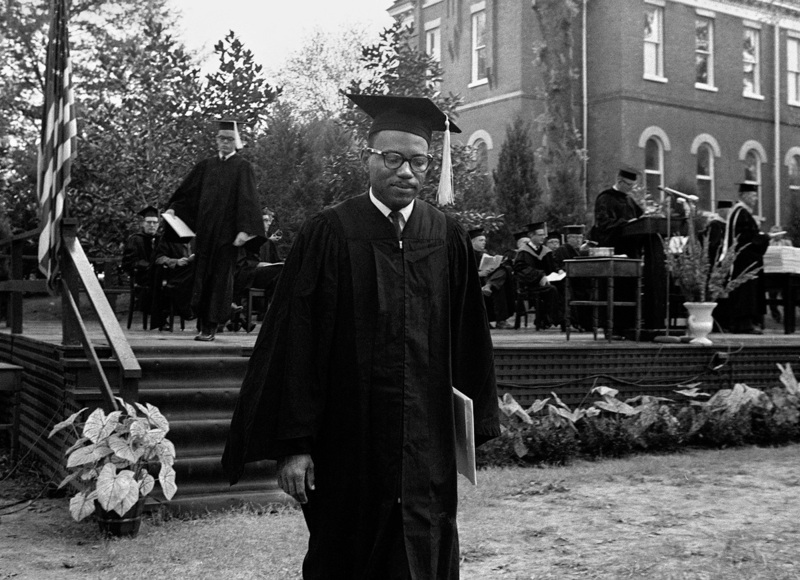 Inspired by President John F. Kennedy’s inaugural address, Meredith decided to exercise his constitutional rights and apply to the University of Mississippi. 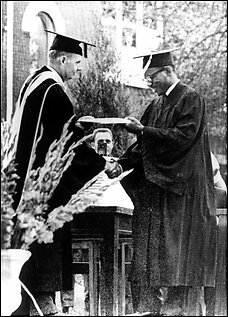 His goal was to put pressure on the Kennedy administration to enforce civil rights for African Americans. 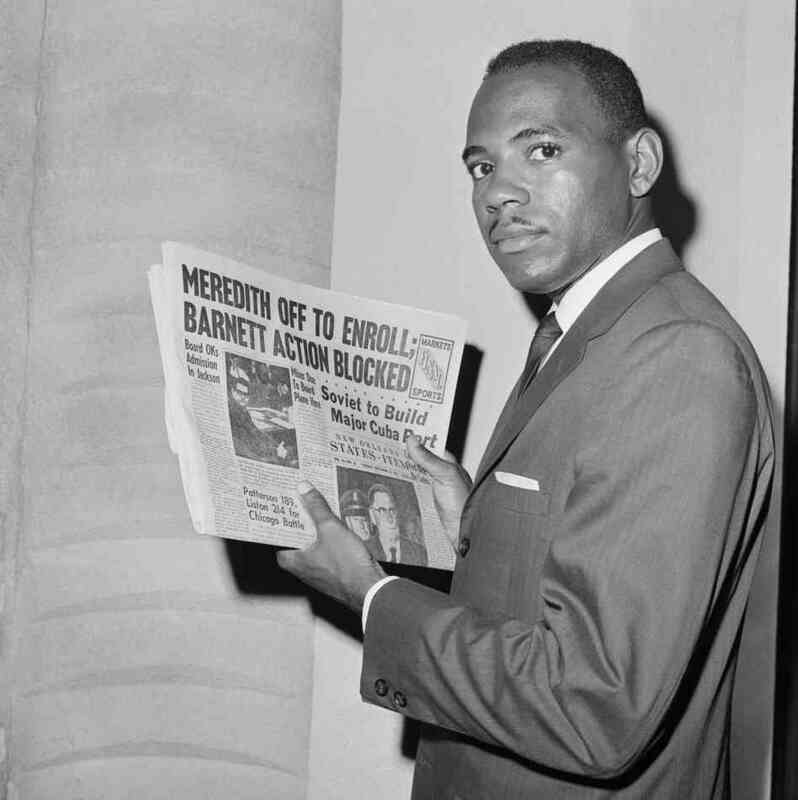 In 1966 Meredith planned a solo 220-mile March Against Fear from Memphis, Tennessee to Jackson, Mississippi; he wanted to highlight continuing racism in the South and encourage voter registration. He did not want major civil rights organizations involved. 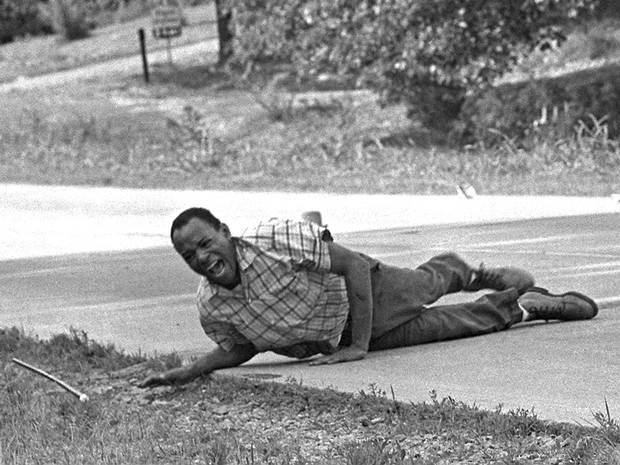 The second day, he was shot by a white gunman and suffered numerous wounds. Leaders of major organizations vowed to complete the march in his name after he was taken to the hospital. While he was recovering, more people became involved as marchers. 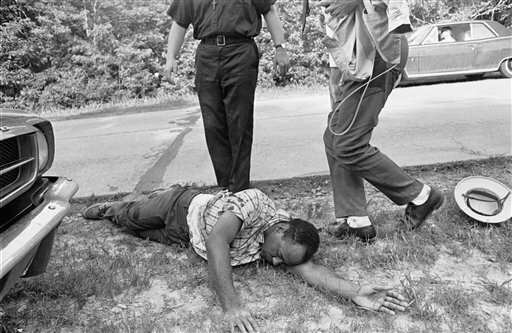 When Meredith and other leaders entered Jackson on June 26, marchers were an estimated 15,000 strong, in what was the largest civil rights march in Mississippi. During the course of it, more than 4,000 African Americans had registered to vote, and the march was a catalyst to continued community organizing and additional registration.